Markazi Hotel is one of the oldest and most historical hotels in Tehran, a monument of cultural heritage that first opened in 1934. Renovated by local craftsmen and builders in 1998, and with more than eight-decades of experience in the tourism and services industry, the Markazi Hotel is open and ready to serve you. 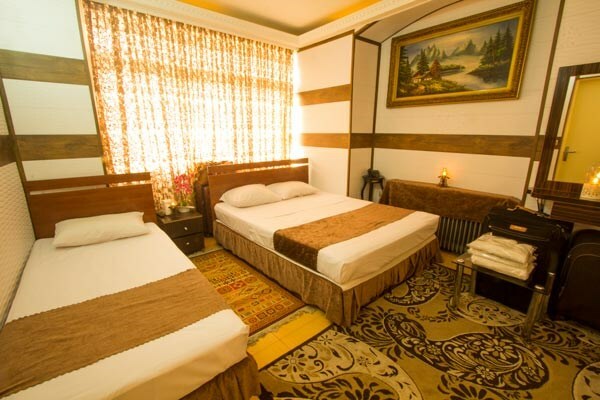 Markazi Hotel is situated in the center of the capital, close to the business center of the city, government offices, banks, hospitals, and many of the foreign embassies to Iran, as well as within walking distance of Tehran’s Grand Bazaar and the Golestan Palace. The front desk and room service are available 24 hours a day, and all rooms come with private en-suite bathroom, high-speed Internet, telephone, TV, refrigerator and air-conditioning.